Will society be better if a common person gets a gun? There are many arguments about holding a gun. For example, it is the right to defend oneself, the suppression function. Brazil, known for its high crime rate, is trying to alleviate gun control under the new president. On the other hand, guns are used for many crimes. In the United States where people can have a gun, many gun shooting incident caused scores of casualties. Could it be that society is getting better by having a gun indeed by ordinary people? There are many scenarios where gun ownership can be a force for good and is necessary, most countries have some laws that control gun ownership though, to make sure it occurs responsibly. For those that live or work in rural areas guns may be an everyday fact of life, being used in controlling animal numbers, hunting for food or protecting property, guns are undoubtedly a force for good in certain situations. However just like a driving a car, fishing, fly a plane and practicing law or medicine, a licence would safeguard society by making sure guns are in the hands of responsible people. Many instances of gun violence happen in gun free zones or happen despite gun control laws. Arguably the proliferation of gun ownership makes the likelihood of gun violence diminish as a criminal is less likely to commit an armed crime if they are unsure who is armed also. 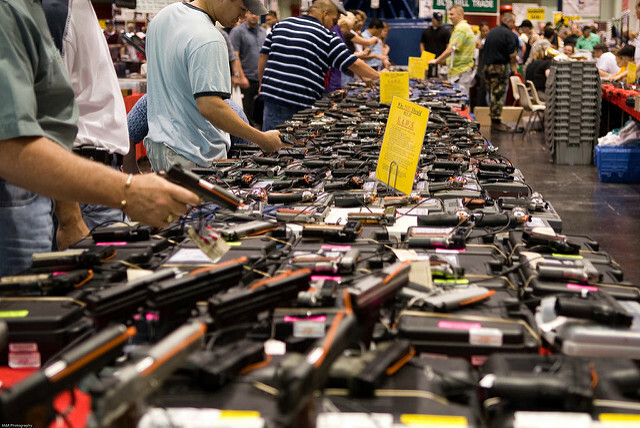 In countries such as America were gun ownership is common gun homicides, and likewise all homicides, are in decline despite gun ownership remaining fairly constant, demonstrating the link between gun ownership and gun deaths is unjustified. If you maximise the number of guns in a society, you will provide that society not only with a dangerous weapon but also a weapon that can be used remotely and therefore maximise the opportunities of violence in the society. This level of remoteness from the violent action arguably goes some way to explain the raised statistics of violent crime in societies that have more guns. For example in the United States there is a direct correlation between a states gun ownership level and its murder rate.